I don't exactly know what I was looking for on the Internet when this article popped up in my browser: "The 100 Best Pens, As Tested by Strategist Editors." I'm not sure what was more exciting - that the testing was rigorous, that I knew about or had owned 99 of the 100 pens tested, or that the pen that came in first place was unknown to me. My husband thinks it is indicative of a disturbingly profound degree of nerdiness. No surprise there. 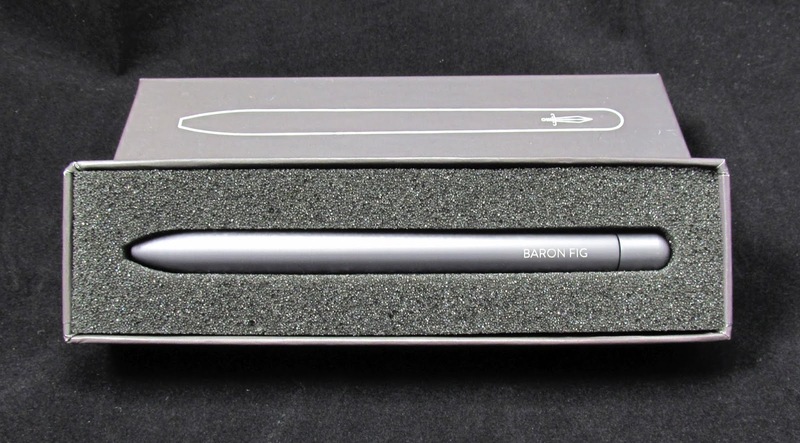 Anyway, the pen that came in first place was the Baron Fig Squire Roller Ball. It was judged best for smoothness, low smudging, lack of bleed-through, feel, and looks. The Squire was first introduced during a highly successful 2016 Kickstarter campaign that I somehow missed. My only problem is that I can never remember the name of this company. I keep thinking it's Fig Newton.